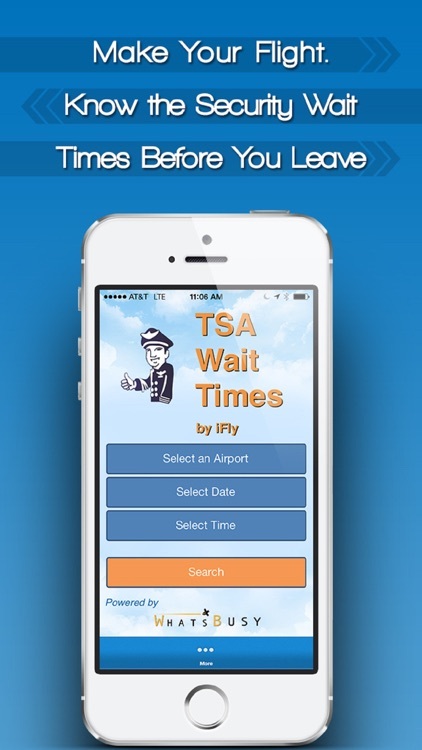 Know the Security Wait Time Before You Leave for the Airport. 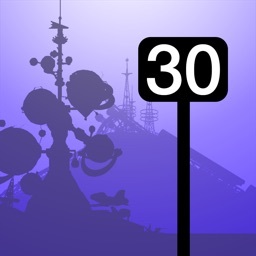 Don't miss your flight! Reduce your travel anxiety by seeing what the TSA (Transportation Security Administration) security line looks like before you leave for the airport. 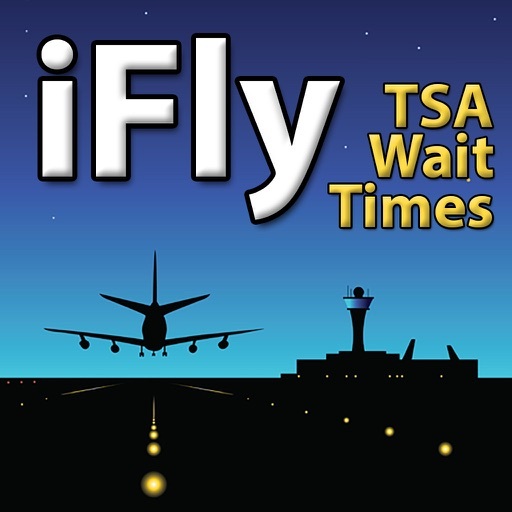 The TSA Wait Times app shows security wait times at specific TSA checkpoints in an airport both now and in the future for the top 100 or so US airports and some Canadian airports. It’s quick and simple. 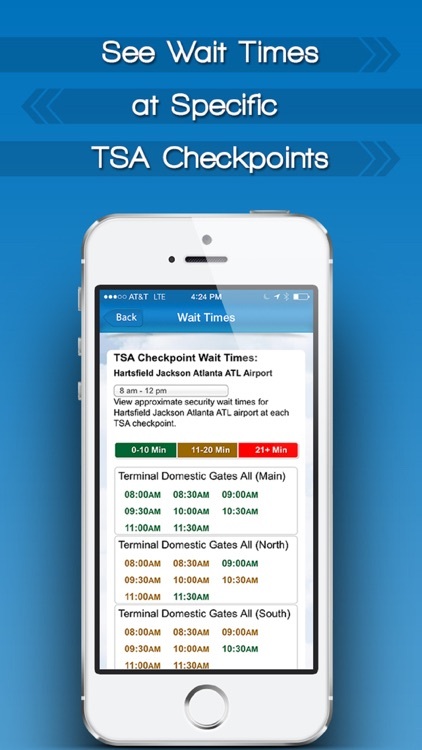 Simply enter airport, time and date of travel and the TSA Wait Times app will show you security checkpoint wait times. TSA Wait Times uses the power of big data to forecast airport security wait time foot traffic per TSA checkpoint and shares these projections with you. 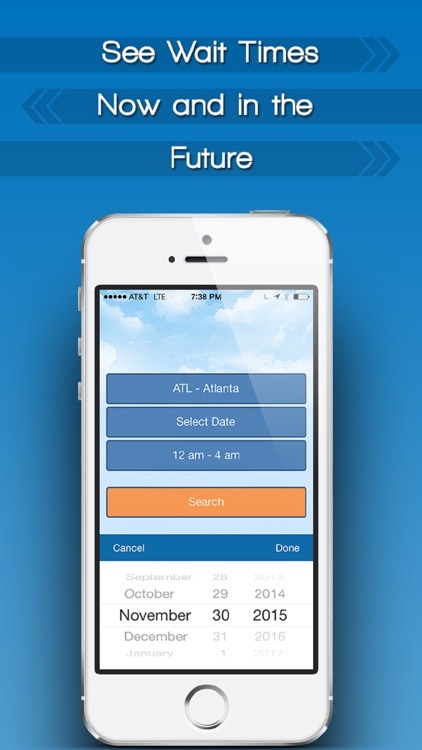 Its forecasts are made with real traffic data, not social media check-ins or passenger tweets. 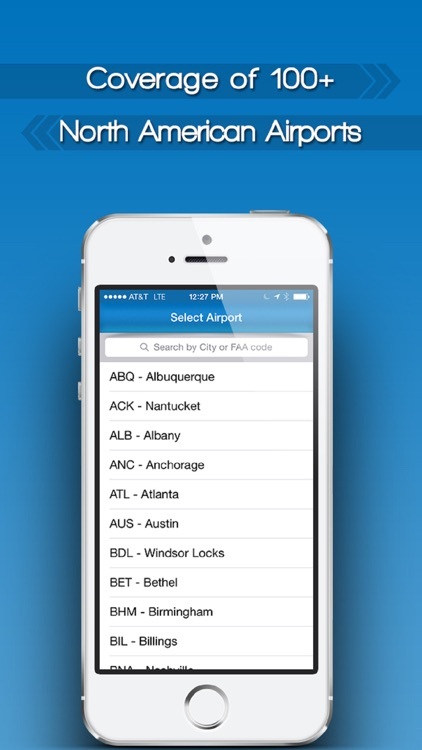 It analyzes weather, flight schedules, demographics and events to predict queues at airport security checkpoints. The Transportation Security Administration (TSA) is an agency of the U.S. Department of Homeland Security that exercises authority over the security of the traveling public in the United States. 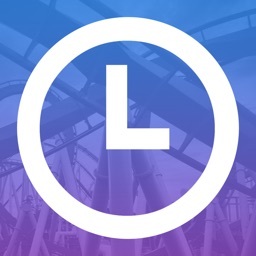 Powered by WhatsBusy - empowering you to discover when places are busy. Now... and in the future. We use the power of big data to forecast foot traffic and share these projections with the public.